When Halloween comes around, parents get excited about dressing up infants and toddlers in great costumes for the photo op. Snaps of infants in baby costumes are great for slipping into Christmas cards you’re sending to family members. You can find pumpkin, clown, black cat, and little witch costumes, as well as Barbie, vampire or even tootsie roll costumes which rival each other’s ‘cute’ factors. For toddlers who aren’t such little babies anymore, you can make them look more adventurous in infant costume of their favorite super heroes or can dress up your little angel as true fairy. You can select from character costumes, professional costumes, cute costumes, horror costumes, Disney costumes, and much more. 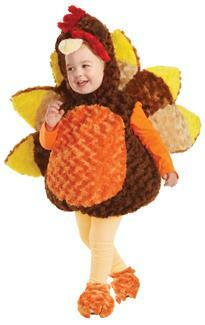 Toddler costumes and Baby costumes are available in a broad range of styles. Bob-the-Builder, Harry Potter and Hermione are some of the all time favorite characters for kids. Dressing up your kids in their favorite characters will make them more exciting to actively participate in Halloweens preparations at home.